Morgan Stanley believes the business is on track for earnings and working capital targets. The broker believes the current share price is capitalising current seasonal challenges, although greater confidence in the balance sheet is required for any sustained re-rating. Credit Suisse believes the main issue in the first half result is the mismatch between market expectations and the ability or willingness of the company to effectively manage working capital fluctuations. 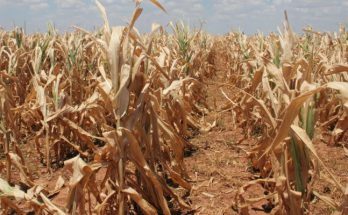 Shares in crop protection group Nufarm slumped sharply yesterday after the company revealed a loss for the half-year thanks to the intensifying drought. The company also suspended its dividend while a jury decision in a court case in San Francisco sets up another possible legal blow to the key chemical in its main product. Morgan Stanley observes conditions in Europe and North America have improved, although lowers estimates to reflect continued dry conditions in Australia. After upgrading to Hold in January Deutsche Bank has now upgraded Nufarm to Buy, as the stock is now trading at a -16% discount to valuation. The East Coast drought – now dipping into Victoria and the dry emerging parts of southern Western Australia – has seen Australia again cut its 2018-19 wheat harvest estimate to where it is now forecast to be the lowest since the GFC and the last big drought in 2008. Fertiliser and rural products group, Nufarm has raised the $303 million it had been looking for in the entitlement issue that started on September 25 as it sought fresh capital to cut debt and help it ride out the East Coast drought. Agricultural products and pesticides group, Nufarm has received a vote of confidence from big shareholders who paid a premium to the company’s rights issue share price in filling the institutional component of its fully underwritten 3 new shares for every 19 held $303 million fundraising offer at $5.85 a share. The 2017-18 Nufarm result explains why the company has rushed out a surprise rights issue. Nufarm is looking to raise $303 million from shareholders after its debt doubled in the latest financial year thanks to the cost of acquisitions and ballooning working capital needs because of the worsening drought in eastern Australia. It wasn’t drought this time but a US court decision which saw Nufarm shares fall 13% yesterday – the second bout of weakness in a month. Nufarm profits for the 2017-18 have badly damaged out by the worsening drought. The news saw the shares slide more than 11% to $7.48. At one stage they were down nearly 12% in early dealings. Shares in crop-protection company Nufarm dipped 0.9% yesterday after it joined the downgrade club – with the cause the gathering big dry in Australia and cold weather in parts of Europe and North America. Farm chemicals company, Nufarm has posted a 40% fall in interim net profit to $12 million despite a 7% increase in revenue for the half. Macquarie tapers its estimates, given the timing of the company’s acquisitions, but remains positive on the growth outlook. The broker expects a heavy skew to the second half. Seeds development provides further options on growth. Macquarie found the AGM update light on outlook, although the company has reaffirmed growth expectations for FY18 underlying earnings. Chemical supplier Nufarm is raising $446 million from shareholders for a long tipped expansion of its offshore operations – but it will be in Europe rather than the US. Will Acquisitions Provide Impetus For Nufarm? Nufarm ((NUF)) is expected to continue showing the benefits from lower costs and market share gains, having reported a robust FY17 result. Risks heading into FY18 are largely centred on seasonal conditions in Australasia and North America, as well as turning around the business in Argentina. FY17 results were in line with revised guidance, reflecting cost reductions. Credit Suisse observes the near-term outlook is similar, expecting high single-digit growth in operating earnings. Crop protection group Nufarm sees more earnings growth in the coming year for the company after posting a 316% jump in net profit to $114.5 million for 2016-17. Deutsche Bank expects the company to report an underlying net profit of $133.7m for the year to July, up 23%. Full year guidance for higher underlying earnings growth is expected, subject to average seasonal conditions in each of the key markets. 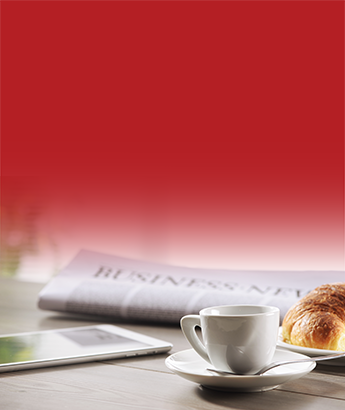 First half operating performance was in line with UBS expectations. Of importance, the broker notes the results demonstrated leverage to the internal initiatives that have been underway for the last 1-2 years. 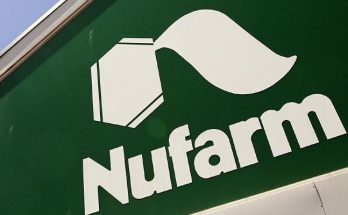 Nufarm (NUF) shares jumped sharply yesterday to levels not seen since 2010 after the agricultural chemicals supplier swung to a first-half profit of $20 million after a 15 per cent increase in revenue. Shares in agricultural chemicals supplier Nufarm jumped more than 5% yesterday on an optimistic outlook given to shareholders at the AGM. Strong growth is expected for herbicide and pesticide producer Nufarm (NUF) in FY17, underpinned by cost savings, a better outlook in Australia, improvement in South America and lower FX losses. The company performed on cost reduction targets in FY16 with a very strong second half in South America. Nufarm reported an underlying net profit of $108.9m in the 12 months to July, down 7%. Nufarm’s (NUF) full-year net profit fell 36% to $27.5 million on back of restructuring costs and the higher costs of doing business in its South American markets. Nufarm shares dipped half a per cent yesterday after reporting an ostensibly solid underlying result for the half year to January. Nufarm (NUF) reports its interim results for the period to the end of January this morning amid speculation it has become a takeover target for a Chinese company. UBS has upgraded the stock to Buy from Neutral and reduced the price target to $8.50 from $9.00. While Credit Suisse’s investment case is unchanged, the fall in the share price and no substantial change in the outlook means the rating is now raised to Outperform from Neutral. Nufarm’s AGM provided guidance to growth in FY16, consistent with commentary at September’s FY15 result release. The broker nevertheless notes guidance implies an increase in the second half skew which would typically be a concern, although it’s mostly to do with Brazilian currency impacts. Shares in agricultural products group Nufarm (NUF) joined the downgrading club yesterday with a surprise negative update at the annual meeting sending the shares down 6% at one stage. Herbicide and pesticide producer Nufarm (NUF) is grappling with a range of challenges as befits an agricultural exposure, none the least being an El Nino event. The company has signalled its earnings in the first half are likely to be flat or slightly higher, with unfavourable foreign exchange movements contributing to weaker guidance at the profit line. Can Nufarm Hold Onto Efficiency Benefits? Nufarm (NUF) is doing the right thing, brokers contend, given the volatile operating conditions for agricultural chemicals and the weather outlook. The company is strengthening its sales of higher margin products and undertaking operational efficiencies. This has helped drive a strong FY15 result. Agricultural chemicals group Nufarm (NUF) has boosted dividend for the year to July 31 after reporting a solid rise in profit, despite the impact of one-off costs, and says it expects another solid performance in fiscal 2016 amid subdued market conditions. Deutsche Bank views the first half result, which was broadly in line with expectations, as a negative, suspecting the outlook commentary is not sufficient to sustain the recent rally in the share price. Crop protection (herbicides) group Nufarm (NUF) has lifted its unfranked interim dividend to 4c a share, from 3c after reporting a 23% jump in first half profit yesterday. Nufarm’s (NUF) stock has been boosted recently as a result of several factors but brokers remain cautious, viewing the equity as fair value given its exposure to the vagaries of weather and soft commodity prices. Credit Suisse acknowledges the company’s ambitious FY20 growth targets are achievable, but only with reinvestment of cost savings into R&D, new products and an expanded sales force. So why did Nufarm (NUF) need a trading suspension to allow it to handle the reporting of the depature of long time CEO Doug Rathbone?